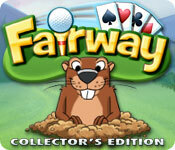 Big Sea Games may be long gone but you can still experience some of the fun when you play the sequel to the fan-favorite Fairway Solitaire, Fairway Collector’s Edition. available now from Big Fish and it includes 63 exclusive courses, 81 bonus courses, 100s of handcrafted layouts, long-drive and putting contests, and Golf Bucks you can earn to spend on powerups in the Golf Shop. As with all Big Fish Games, you can try it free for one hour before you buy. It is with sincere regret that we will be phasing out Treasure Quest, effective March 15, 2011, at 10:00 AM PST. Without an update to the application since July 2010 and the Daily Detective episodes starting to repeat months ago, it was only a matter of time until Big Fish Games announced they’d be shutting down the Treasure Quest app on Facebook. The announcement came today via their Facebook page. More details are available in the Treasure Quest closure FAQ. It appears Faunasphere is being phased out concurrently, but the other Big Fish Games app My Tribe will remain, possibly soaking up those precious few resources Big Fish Games will free up with these closures. This site will remain online indefinitely. Be sure to check the archive of Big Fish Games releases — a new game every day! — if you still are interested in giving Big Fish Games your money. Yeah, I didn’t think so. This offer has now expired. Stay tuned here for more news and offers soon! The Spigo offer ends in just a few days! If you haven’t taken advantage of this generous offer for fans of the now-defunct Big Sea Games, now is the time. Spigo.com is a casual games site that many Big Sea Fans have gone to now that Big Sea Games has shut down. They offer a ton of great games including a few different types of scratch cards, slots, card games, multiplayer games, and more! A Gold membership at Spigo gets you more games, enhanced profiles and mail, priority access to customer service, undo buttons in games, and more! When you sign up for Spigo.com through BigSeaFans.com, you’ll receive 90 days of Gold membership and 50,000 Spigos (tokens, which can be traded for merchandise or jackpot spins). That’s more than a $25 value for free! Sign up soon, because this offer ends on September 30th. Once you’re there, find me and add me as a friend — my username is Lure. In turn, I’ll add you to our Big Sea Fans Club for all former Big Sea Games players. See you there! We didn’t get a goodbye message like we did when the game community was shut down a year ago, we didn’t get a warning so we could say our final goodbyes, around 10:20am pacific time today, the chat disconnected and that was the end. More screenshots of the final moments here. Thanks to everyone for coming to our little party and for making this the best fan community out there! Now, on to bigger and better things! This site will remain open as an archive of Big Sea Games information and we’ll move forth providing hints and tips for these games at Treasure Quest on Facebook. See our right sidebar for a collection of our Treasure Quest help and info pages. Some former Big Sea players are finding new sites to play at and we’re all keeping in touch using the Big Sea Fans Community forums. The end of Big Sea Games is near! If you need help calculating what time it’ll be in YOUR time zone, visit TimeAndDate.com. Choose 9am on September 1, then U.S.A. – Washington – Seattle as the time zone to convert from. Convert to your own. Please take time out of your busy schedule to spend a few moments with us as we say goodbye. If you haven’t yet, please register on our community forums and post an introduction for your old Big Sea friends and new ones you might not have met yet — we’re currently discussing other game sites, the BSG closure, and more. I got an email from the site admin of Spigo.com — another game site like Big Sea Games. For a limited time, they are offering a signup bonus for us Big Sea castaways. If you sign up through this link you’ll get 50,000 Spigos and 90 Gold Days free. That’s like getting a bunch of tokens and a free 3 month membership to their paid features! For more info on Spigo, here’s a favorable review from Mira of Free2WinGames (who I know of via my Pogo fan site, BadgeHungry).